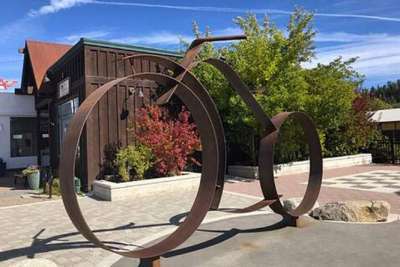 Truckee is a small town located in the Sierra Nevada mountains with a community of more than 16,000 residents and is continuing to grow as it attracts more residents and visitors every year. The community was first incorporated as a town on March 23, 1993 but has existed for over 150 years. The town ranges in elevation from 5,500 feet at the Town’s eastern boundary to 7,500 feet in the northwestern corner. Historic Downtown is the core of the community, both geographically and culturally. Every summer the community comes together every Thursday evening for “Truckee Thursdays. This street fair offers live music, food, beer, art, and children’s activities. It’s no wonder this lively weekly event is on both locals’ and visitors’ must-do list. The oldest neighborhoods include Historic Downtown, Gateway and Donner Lake. It wasn’t until the late 1960’s to early 1970’s, the community started booming and expanded dramatically with the addition of the Tahoe Donner, Glenshire, Prosser Lake View, and Sierra Meadows neighborhoods. Some great opportunities to explore the community include; The Pacific Crest Trail on Donner Summit, the Commemorative Emigrant Trail, and the Donner Memorial State Park. Truckee was named one of National Geographic’s “World’s 25 Best Ski Towns” as well making it on the list of Best Ski Towns by Travel and Leisure magazines.